Normally, I'm exclaiming, ROGER MOORE: WHAT ARE YOU WEARING?! But with this, well, I just don't even know what's going on. A common refrain. Everyone loves to point out a strong female character; especially in modern films. And, indeed, there are instances of strong, well-developed female characters in modern movies -- but that is not the majority and definitely not the majority in popular films. So often (with obviously major exceptions), female characters are regulated to three strict boxes: quiet and passive, psychotic crazy woman, or solitary action heroine. The quiet and passive character can do nothing on her own and the story's development usually involves her finding someone to help her. The psychotic crazy woman might be powerful, but she's also psychotic and crazy and scary and terrible. And then there's the solitary action heroine** -- often pointed to as a strong female character. Yes, she is strong and female. But, she is alone. While the quiet and passive character must have a helper, the solitary action heroine must have NO ONE (unless she learns by the end of the film that she should actually be quiet and passive). Clearly, these character-types have real life counter-parts. But, not every female fits into one of these boxes. The problem with these characterizations is that they are over-used and predictable. Yet, they often in appear in modern films; even though modern movie-making is so obviously free from the racism and sexism that plagued earlier eras. And, I would never stand here and write that sexism and racism were not/have not been overwhelming in all decades of movie-making, but I also think that pre-1970 did have a lot of genuinely well-developed, strong female characters. 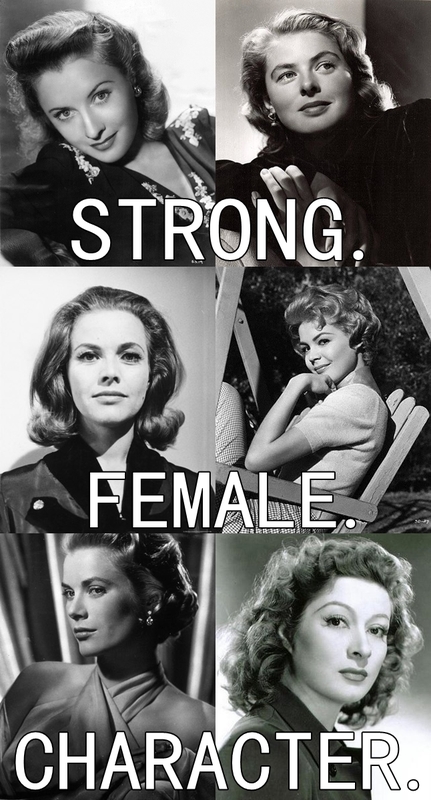 And after that lengthy and uncharacteristically serious introduction, that is what I am going to be writing about in this post: my understanding of strong females as shaped by classic film. When I was Little Millie, I was not allowed to watch many modern movies. My modern choices were limited to G-rated-type movies. And because I hated stupid movies (Gidget Goes Hawaiian is NOT A STUPID MOVIE), my options were really limited to Pixar and Jane Austen and occasional fairy tales. My modern choices were limited, but my other choices were not. My Mum has a great love for classic film and I was taught it. 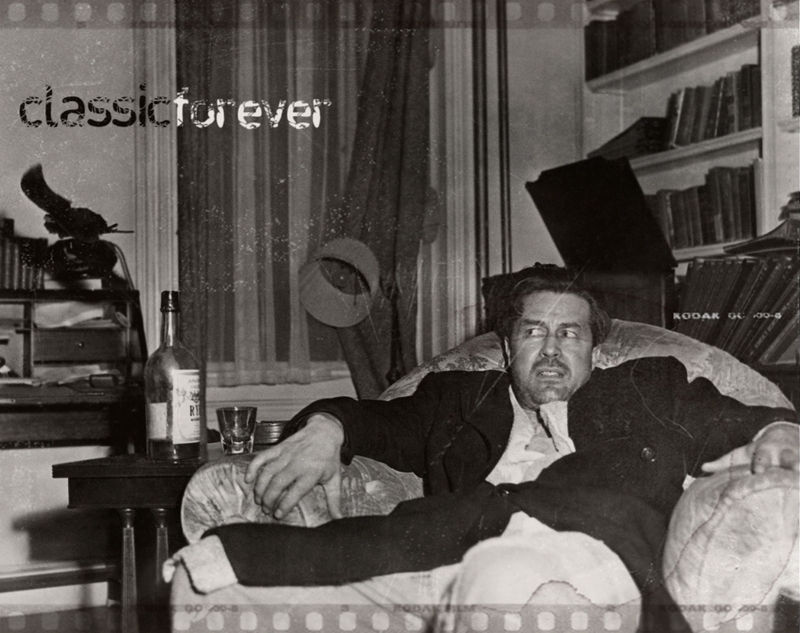 Instead of classic film being a rare exception, it was the opposite: classic movies were the real movies, and modern movies were the "differents." Much is made of the depiction of women in popular media (obviously, I just wrote a bit about it) and how it affects society. Not that there's anything inherently wrong with Disney stars or teenage pop singers, but if you want to show a girl positive strong female characters -- show her Barbara Stanwyck. Show her Myrna Loy. Show her Carole Lombard, Bette Davis, Ingrid Bergman, Sandra Dee, Honor Blackman, Olivia De Havilland, Greer Garson, Grace Kelly, Audrey Hepburn, Jean Arthur, Irene Dunne, Joanne Woodward -- and these are just some. At the age of eight, my two favorite actresses (and I couldn't possibly have been forced to choose between them) were Barbara Stanwyck and Deanna Durbin. They were my absolute favorite people. I watched everything I could find that included these women. But, along with them, I adored many of the other women listed above. I particularly spent my time watching '30s and '40s films. Of course there were sexist elements (and obviously there were almost no real depictions of minority women), but the more I think about who I am -- the more I can trace back to these women. Look at Barbara Stanwyck in Meet John Doe (1941). She plays an independent "career woman." She is responsible for providing for her mother and sisters. She's a writer for a newspaper. She isn't -- however -- cold, crazy, solitary, arrogant, or psychotic. She needs people, like they need her. Falling in love changes her in some ways, but it doesn't change who she is or make her somehow wholly dependent on the whims of Gary Cooper's character. A fully-rounded, fully-developed, responsible, independent, smart, and loving female character. Check. Look at Myrna Loy in The Bachelor and the Bobby-Soxer (1947). She plays a judge. She takes care of her teenage sister. She is unmarried, and had no need to be until she meets someone she actually loves and would, perhaps, WANT to be married to. She is intelligent and respected and normal. Her character is not being a "career woman" just until she finds a man -- she's being a judge because she wants to and she's good at it. But, still, when she finds guy she likes (and honestly, it's Cary Grant), she's not averse to being in a relationship: an equal relationship. Look at Jean Arthur in basically everything (examples: Mr. Deeds Goes to Town; The More the Merrier). Or Irene Dunne (screwball comedy queen). 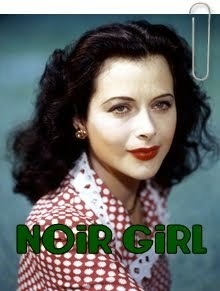 Or Rosalind Russell (His Girl Friday). Or Carole Lombard (perfect person in the movies and out). 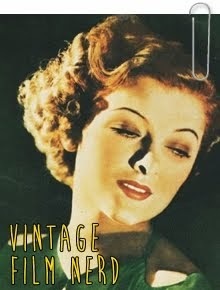 Throughout the '30s and '40s, they portrayed awesome, realistic women. And then there were women like Olivia De Havilland and Bette Davis who played interesting characters, but did even more fascinating things in real life (standing up against the studio system being among them). Deanna Durbin was the queen of my heart, and even today her movie roles are fabulous to look at. She started out as a teenager and moved into adult roles and it's interesting to watch the growth. 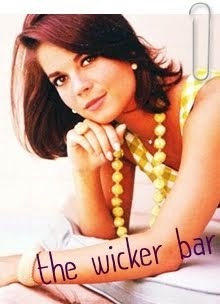 On a similar track, there's Sandra Dee. 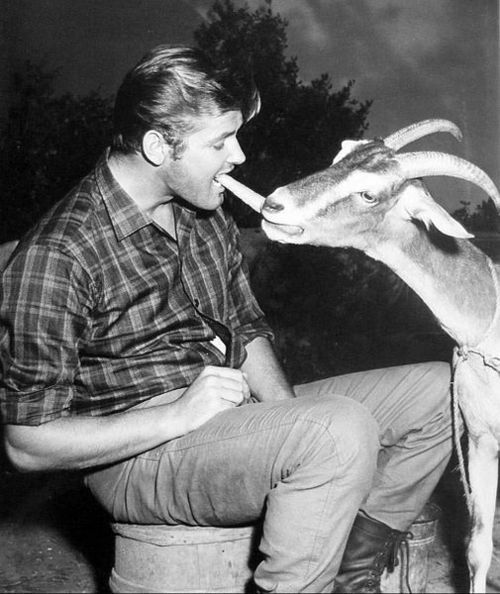 Gidget's a stinkin' icon. Although the movie is a bit of a watered-down version of the true person, she still played a 15 year-old girl who did what she wanted to do -- instead of what was the "cool" thing to do (although, obviously, there is nothing cooler than being Gidget). I think the most interesting thing about all these women is that they all played such varied and diverse characters. 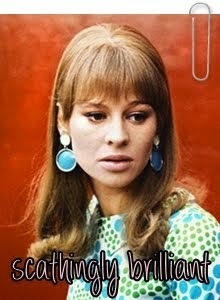 They didn't all always play fiercely independent females with brilliant careers, but they did play multifaceted women. What I learned from them (and so many other classic females), is to strive for greater things. These actresses didn't have to stuff themselves into particular boxes, because they were so different. Ingrid Bergman and Greer Garson could play the same role, but they would play it much differently. Who their characters (and sometimes, they themselves) were as people was always displayed. I guess what I'm trying to say -- in probably the most confusing way possible -- is that I saw so many different kinds of strong female characters in classic film. Because of this, even when I also saw many belittled and one dimensional female characters, it was ingrained in me that there is a place for so many different kinds of women. And not to be excessively cheesy/to be excessively cheesy, I learned the importance of being my own person. So, in defense of classic film, I learned about strong female characters from the oh-so unenlightened older generations of movies. And I got to experience strong females in real-life through my mum and my sisters. I wish all eight year-old girls were shown as positive a depiction of strong females as I had. **Honor Blackman is an actual action heroine, but that is another story for another time. 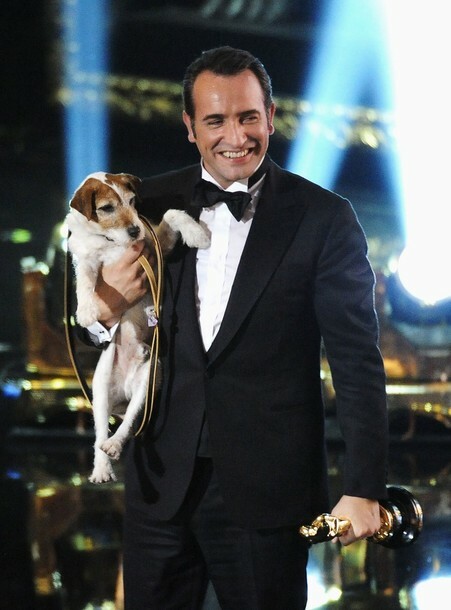 Oscar Debriefing: The Year of Dujardin! right? So, I watched the Oscars. All the way through, for the first time ever. I had an Oscars party. The truth though: I planned an Oscars party just so I could watch the Oscars without looking like a dork and being pathetic and watching by myself. So, I actually had to invite a bunch of people over. And the reason why I HAD to watch the Oscars? 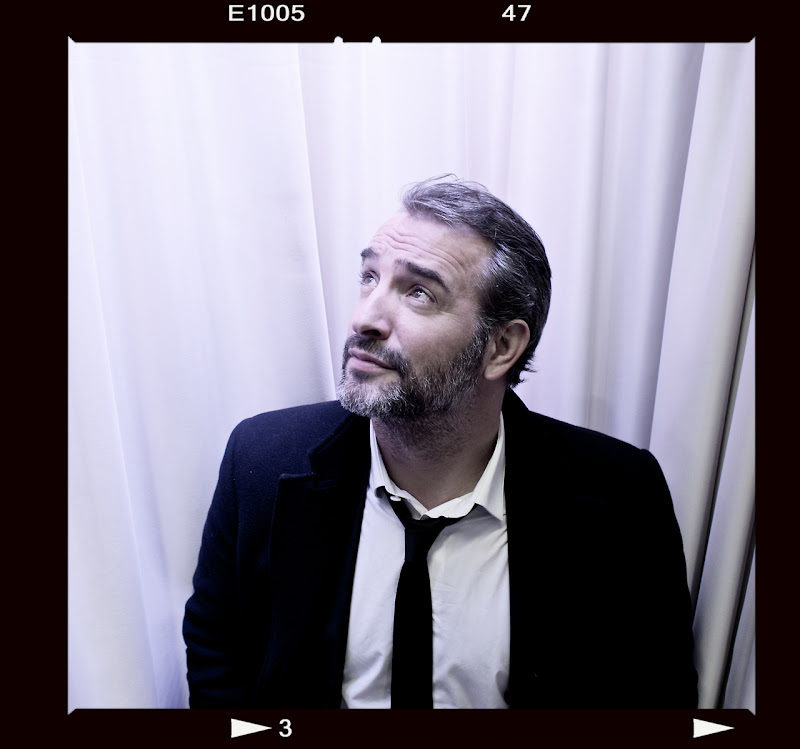 Jean Dujardin was going to be there. I'm not even joking. I was fully prepared to watch five hours of nonsense for two minutes of Dujardinness. So, I carefully selected a random group of friends. There were five of us of females, aged 18-25. We had both root beer and cherry vanilla creme Blue Sky. There was a cheese and cracker platter, a veggie tray, cupcakes, licorice, popcorn, and a pizza. All the classy stuff. Each of us had varying degrees of enthusiasm, ranging from not caring to not knowing what was going on. HORRRRRIBLE HOST. He started off horribly. And ended horribly. And was horrible in the middle. He actually managed to make an offensive remark to every possible person. And then that extremely awful/awkward/sexist song that wouldn't end. As a group of females aged 18-25, we just looked horrified at each other and tried to zone it out and pretend it wasn't happening. And then he immediately launched into a classy song -- which was danced to by an actor I hate and Charlize Theron (with awesome hair). I can't. The lack of Sir Roger Moore was highly disappointing. BUT, THEN. There was Dame Shirley Bassey being an absolute goddess. SHE IS SO PERFECT. I don't even know what quite to say, except that she is DAME SHIRLEY BASSEY. And there was also Adele being mesmerizing. Honestly. Who is she? I can listen to her and stare at her for hours. And the Les Miserables tribute? My singing-I-Dreamed-A-Dream-at-inappropriate-moments friend and I were in an actual spasm. 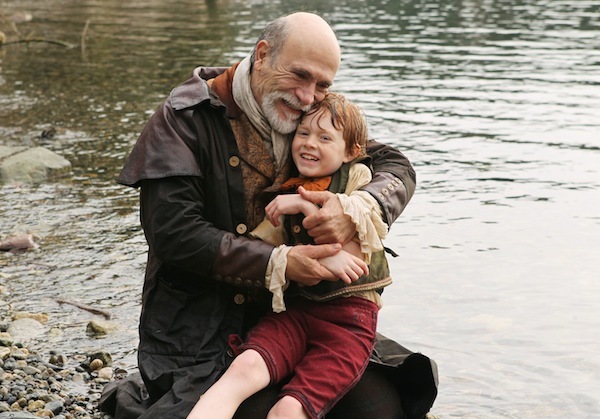 ALSO, WHY DID THEY NOT HAVE GAVROCHE COMING RUNNING OUT AT THE END TO SCREAM "VIVE LA FRANCE!" I especially loved the fact that Helena Bonham Carter showed up dressed in costume (aka as herself) and actually looked like she didn't care. And I'm pretty sure they didn't give her a mic. Also, speaking of people not caring. I love the fact that Liam Neeson gave zero effort in presenting his award, yet was still fascinating. Obviously, though, the greatest moment of the night was Jean Dujarding presenting an Oscar. He spoke French, he spoke English. He probably did other stuff too, but I fell into a dead faint and missed it. The above video has been deleted, so watch it here instead! Please can we just have Jean Dujardin pronounce everyone's name forever. Also, Jennifer Lawrence was literally the only person I didn't want to win in the entire awards show. Ugh. And the she "fell" on the stairs and who came running to help her up? JEAN DUJARDIN AND HUGH JACKMAN. WHAT EVEN IS THAT? HOW IS THAT FAIR OR ACCEPTABLE? Quvenzhane Wallis (I did have to google to spell this name) is adorable and perfect. And I love her. So, yeah. There is a complete recap of the Oscars. I cannot think of anything I missed talking about. Except there should have been more Jean. Also, JEAN AT THE OSCARS EVERY YEAR OR I WILL GO BACK TO NOT WATCHING. JEAN OF THE GARDEN AND UGGIE. DON'T YOU REMEMBERRRRRRRRRRR...oh sorry...in an Adele mood. P.P.S. Someday, you will win many Oscars, Amy. I BELIEVE IN YOU! Reminder: sources for photos/gifs can be found by clicking on them! I honestly don't know who I am anymore. So, you know how in the previous post I talked about the fact that I keep -- extremely uncharacteristically -- crying over every stupid movie/television show I watch that has any sort of emotion in it at all? It's gotten worse, much worse, since then. I am here to admit an embarrassing story. 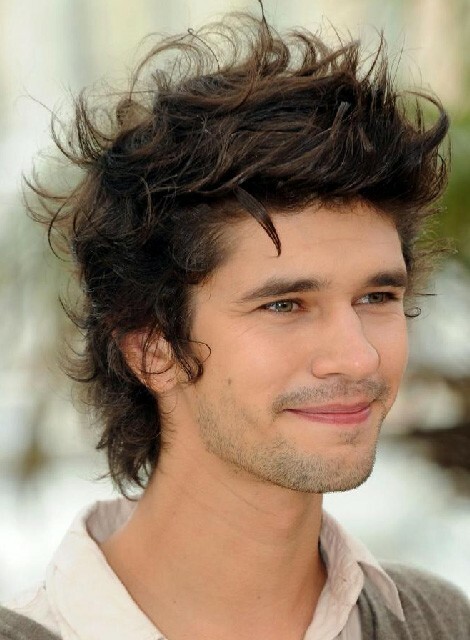 Ben Whishaw's rogue hair is eternal. Guys. I genuinely had a tear in my eye. GENUINELY. I don't even know what to do with myself anymore. I think I should rename this blog, Things That Make The Millie Cry a Single Tear. Next Up: Millie finds herself crying over the weather report. Overcast with light rain showers. Just like every day in Washington. Millie loves rain. Millie loves Washington. Millie is moved by the constancy, strength, and courage of the weather in its resolve to remain grey 11 1/2 months of the year. You know when you're little you have more endurance than God is ever to grant you again. Children are man at his strongest. Lord save little children. You'd think the world'd be ashamed to name such a day as Christmas for one of them, then go on in the same old way. My soul is humble when I see the way little ones accept their lot. Lord save little children. The wind blows and rains are cold...yet they abide. Today, I watched The Night of the Hunter for the first time since I was probably 12. Of course, it was excellently brilliant. I thought that when I was 12 too. Of course, Robert Mitchum is stinkin' scary in the way that only psychotic preachers can be. Of course, the direction and filming and story are perfection personified. Of course, the acting is greatness. But, what really struck me this time around (and when I say struck -- I REALLY mean struck -- I was practically in tears), were the children. Billy Chapin is so perfect as John. That is a great child acting. (Child from Shane, please pay attention. You are just annoying.) His character pulls the story together in a way I hadn't noticed at age 12. The courage; the confusion; the breakdown; and, ultimately, the restoration are all written in a way that feels realistic for the specific instances and the specific time of the Depression. But, what really struck me (in the weeping and making sad sounds [no lie: dictionary definition for "cry"] kind of way), was the universality of John and the other children. My life's goal (and the reason I'm transferring to Northwest University in the fall! yay!) is to work with children who are suffering the psychological effects of trauma and war -- hopefully in West Africa. The almost-tears in my eyes were because I recognized a similarity between children abandoned and alone in the American South during the Great Depression and children abandoned and alone in Sierra Leone following a civil war. And Miss Cooper's response to Ruby, "You were looking for love...in the only foolish way you knew how. We all need love." I'm not one to get into the maudlin sentimentality of audiovisual entertainment (except when it's Pinocchio's backstory. That little ginger kid with freckles and the sad face KILLED ME). I don't often blog or speak or anything about the "power" or "emotion" of a film. But, The Night of the Hunter just has it. Yes, it is a brilliantly-done-in-every-way-imaginable, surreal fairy tale about a charismatic psychopath serial killer preacher. But, it is also a story about children-- their resilience and their intrinsic value. Ugh. Everyone involved in this movie was brilliant. CHARLES LAUGHTON, YOU SHOULD HAVE MADE MORE MOVIES. < Okay, I can't resist. This is just one of many gifs that exist of David Tennant crying in the most horribly painful way possible. P.S. I know this is a super-random post after my long absence. I will be blogging more regularly again. Life happened. I WAS DEPRESSED TO MISS CHRISTMAS TIME ON HERE. I actually had a post planned titled: "Rudolph the Red-Nosed Reindeer: Dystopian Society with a Totalitarian Authority Figure, Conformist Ideology, and Slave Labour." Next Christmas. It's going to happen. I love ruining Christmas movies for people. ^The previous sentence is an example of something that a person shouldn't write after basically a six month absence.